Looking for a tablet designed for demanding commercial use and supported in fit, form, and function for the long term? The Adapt-IQ by Mimo is not a consumer tablet. It is meticulously engineered for commercial purposes, designed and tested for 24/7 use. With sturdy hardware designed for retail and commercial use and added features such as tempered scratch-resistant glass, VESA mounting, stereo audio output, and SD card protection cap. The Adapt-IQ 10-inch tablet offers the security of wired with optional power over Ethernet or the convenience of wireless Ethernet connectivity, the option is yours. Our rugged, mountable Android tablet is developed for fixed applications where battery power is not required. 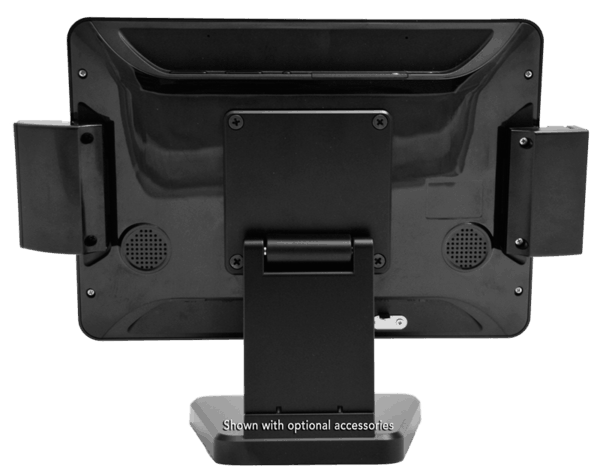 The Mimo Adapt-IQ tablet is designed to enrich the customer experience and deliver the most cost-effective solutions for retail POS/POP, industrial, commercial, and hospitality markets. Ideal for end-cap displays, kiosks, or as a customer-facing display in retail POS/POP installation. 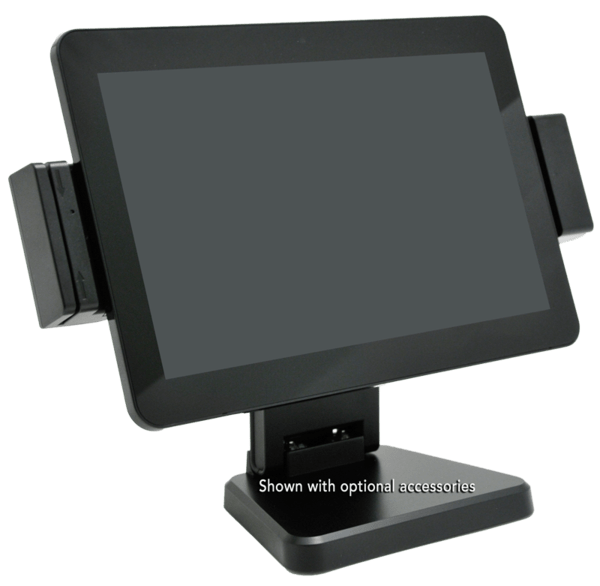 The Mimo Adapt-IQ tablet is designed to enrich the customer experience and deliver the most cost-effective solutions for retail POS/POP, industrial, commercial, and hospitality markets. Ideal for end-cap displays, kiosks, or as a customer-facing display in retail POS/POP installation. The Adapt-IQ by Mimo is designed and supported as a commercial product with a long lifecycle. The external specifications and tooling are controlled to withstand a long product life and guarantee continuity for all phases of project rollouts and service. The internal assemblies were developed specifically for the Adapt-IQ model and unlike other solutions are not subject to obsolescence. Though internal components may change for the better, such conversions can be done without modification by the end user. The Mimo Adapt-IQ 10-inch tablet is powered by a quad-core Cortex A9 chipset with 1.6GHz peak frequency to support the latest ARM processor optimized package. As a result, apps launch instantly and run smoothly under demanding conditions. The processor boast a quad-core GPU, delivering fluid and lifelike graphics in even the most intensive apps. Combined with 2GB of dual-channel DDR3 memory, our tablet clearly stands apart from other digital signage tablet solutions. The quad-core Adapt-IQ runs Android 4.4 or 5.1 OS to delivered accelerated loading times. Our tablet speeds web page opening by 50%, app loading by 16%, app installation by 25%, and video/photo loading by 30% over the average consumer-grade tablet. The Mimo Adapt-IQ can be customized to meet your unique demands and can be installed with applications downloaded directly from the Android Market. 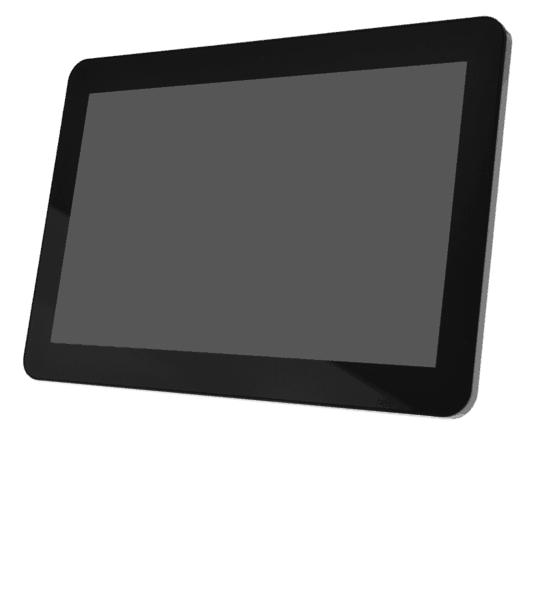 Our tablet’s 5-point multi-touch projected capacitive panel responds instantly and accurately without dead corners. Users can interact with your designed app with ease and comfort. The capacitive touch panel is composed of scratch-free tempered glass and produced with advanced laser carving and a state-of-the-art double-deck glass process. The Adapt-IQ is specifically designed for commercial and retail applications, not consumer use. With this in mind, our tablet is designed with VESA mounting holes on the back and an SD card protection system to suit demanding environments. 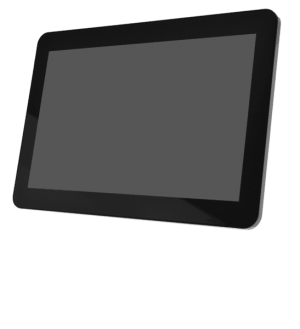 The Adapt-IQ 10-inch tablet comes with built-in Wi-Fi, a wired RJ45 Ethernet connection, and internal memory can be expanded as needed through the SD memory slot. In addition to wired Ethernet, our tablet can be optionally configured with Power over Ethernet (PoE). 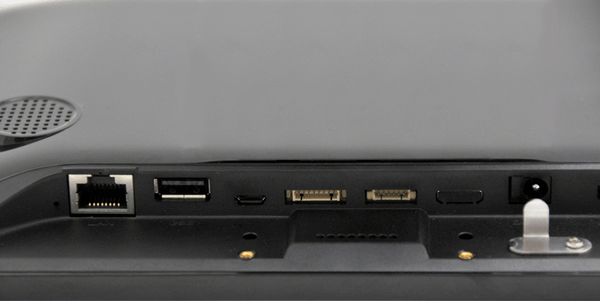 Peripherals such as printers and bar code scanners are easily connected to the USB ports found on the rear of the tablet. The Mimo Adapt-IQ smoothly plays full HD 1080P videos for all your visual needs. This model is compatible with 720P and 480P videos in a number of formats, including WMV, MPEG4, TS, and H.264. The tablet also supports Adobe Flash 11.0 and HTML5 animation technology, accesses dynamic webpages with ease, and runs online videos and games smoothly. The Adapt-IQ 10.1” tablet is protected by a high-quality ABS case with modern zero-bezel design to deliver ultimate scratch resistance.